looks like it sounds. sounds like it looks. if this isn’t a catastrophic fall waiting to happen, then i don’t know what is. 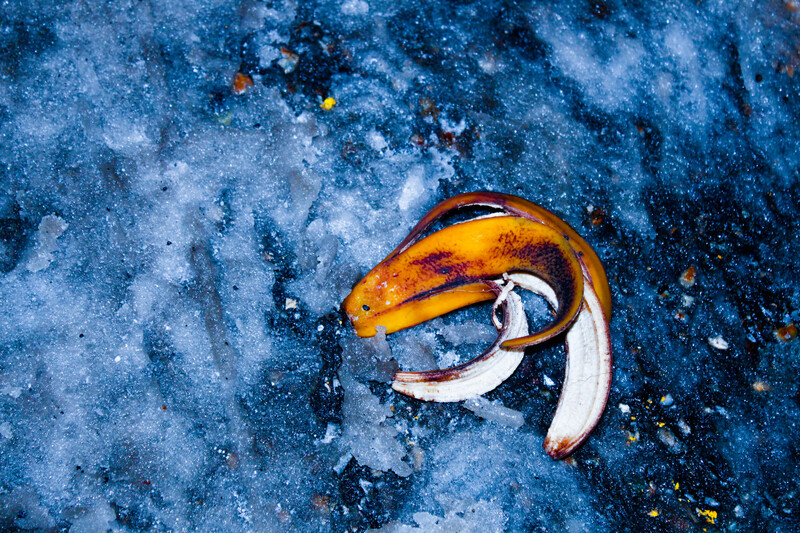 a banana peel on ice! how can i type out the cartoon sound of slipping on a banana peel? an ascending zip? zing? schwoop? shwink? whatever the spelling, i can hear it in my head, and i bet you can too. ← feels like it looks. tastes like it feels.